Of the Scottish folksong collectors of the nineteenth century, William Motherwell was probably the most genuine of the earlier ballad collectors – although his work was surpassed in scope by the endeavours of Peter Buchan and, in popularity, by that of Sir Walter Scott. Later, the work of Gavin Greig and the Reverend James Duncan in the north-east provided the largest, and arguably the most important, folksong collection in the English-speaking world. In retrospect, perhaps, this mammoth work dwarfs all others. However, at the turn of the century, in the midst of the sentimental kailyard era two of the most widely read collectors of Scottish folksong were both, paradoxically, Glaswegians: Robert Ford and John Ord. Despite his own fairly modest gifts as a writer, however, Ford was an excellent editor and collector, and his works, published latterly by Alexander Gardner of Paisley, were best-sellers both at home and abroad. Dryerre notes that his collection of anecdotes in the fashion of Dean Ramsay, Thistledown, inspired an expatriate Scot in Klerksop, South Africa, to name his estate after it. Ford was also particularly interested in children’s lore, and his Ballads of Bairnhood (1894) – dedicated ‘To my own five motherless children, for whose entertainment, in joy and in sorrow, most of the pieces have been read or sung’ – and his Children’s Rhymes, Games, Songs and Stories (1903) were especially popular. There are interesting snippets of folksong and folklore in several of Ford’s collections. 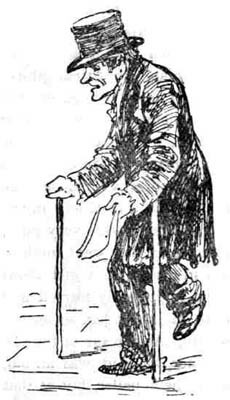 For example, Children’s Rhymes, Games, Songs and Stories contains an unusual example of an early mystery play, The Goloshans (supposedly ‘The Galatians’) common in the west of Scotland, and Thistledown has an intriguing version of an international folktale type known in the north of Scotland, ‘The Professor of Signs’. However, Ford’s main contribution to folksong scholarship comes not in two fairly standard works – Song Histories (1900) and Auld Scots Ballants (1889) but in his Vagabond Songs and Ballads of Scotland (first published in 1899) a collection of around 150 Scottish folksongs with annotations and fully transcribed tunes. However, whereas Ford, apart from writing, living a commonplace, even mundane life, John Ord was much better known in another important capacity – he was, in fact, a member of the police force, rising to the position of Superintendent of the Southern Division in the Glasgow Police Force. Ord actually achieved considerable fame in this position. Not only for his founding of the notorious Black Museum at Turnbull Street and for his presentation of the white glove to the High Court on one occasion – a ceremony to indicate that no cases were to be tried, but for his involvement with several of the important criminal cases of the day. Of these, the most sensational was undoubtedly the case of Oscar Slater. The facts of the case are well known. Slater, a German Jew, was sentenced to death for the murder of an elderly Glaswegian lady, Marion Gilchrist, in 1909. Slater’s prosecution was based on very flimsy evidence. His sentence was commuted to life imprisonment and, after nineteen years in prison, he was released and his appeal against the sentence was heard. The appeal was accepted, Slater received £6000 compensation, married, and settled in Ayr where he died at the age of 75 years. The Slater case was a great cause celebre of the time. The trial was reviewed (and Slater’s innocence attested) in books by Sir Arthur Conan Doyle (The Case of Oscar Slater, 1912) , William Roughead (The Trial of Oscar Slater, 1910) and the Glasgow journalist William Park (The Truth About Oscar Slater, 1927). More recently, there is a lucid account by Jack House (Square Mile of Murder, 1961) and an idiosyncratic but detailed book-length review by Frank Kuppner (A Very Quiet Street, 1989). John Ord was in charge of the investigation, and it now seems that he must bear some (but certainly not all) of the blame for the bungling of the Glasgow Police. Slater was clearly a scapegoat and the Glasgow Police Force were under substantial public pressure to solve the crime. It is evident that the case against him should never have been brought to curt. But if Slater didn’t do it, who did? The most damning indictment of Ord’s involvement in the case comes in the accusation that, for some reason, on the advice of a colleague, he did not pursue an investigation into an alternative suspect, known, cryptically, as A.B. Whatever, the rights of this case, however, it does raise an interesting aspect of Ord’s interests. It has been bluntly suggested that Ord’s involvement in the case was tainted by a prejudiced masonic connection. Ord was certainly interested in secret societies. A remarkable article that he published in the Glasgow Weekly Herald of 13th November 1920 entitled ‘The Most Secret of Secret Societies: Ancient Scottish Horsemen’, reveals that he claims to have been a member of the society of the Horsemen’s Word – a secret brotherhood of ploughmen prevalent in the north-east of Scotland. This may shed some light on the origin of the songs in his major written work, The Bothy Songs and Ballads of Aberdeen, Banff & Moray Angus and the Mearns, published posthumously, shortly after his death, in 1930. Bothy Songs and Ballads is, in fact, a seemingly authentic collection of folksongs from the north-east, similar to those published by Greig in Folk Songs of the North-East (a limited edition published by the Buchan Observer), a few years before. So, the indication is that Ord obtained at least some of his songs from primary sources, unlike Ford. In terms of collecting, the original edition of Bothy Songs and Ballads still comes up occasionally at a relatively high price but there is, thankfully, a more widely available reprint published by John Donald Publishers. Similarly, the first edition of Vagabond Songs, published in two volumes between 1899 and 1901 is scarce (and was so, apparently, shortly after it’s publication) but the revised second edition in one volume, dated 1904, often appears in secondhand bookshops and I have bought several copies over the years, all reasonably priced. Ford’s other works were generally published in comparatively large print runs and are often found for a few pounds. His major works are: Hamespun Lays and Lyrics (1878); Glints of Glentoddy (1880); Humorous Scotch Stories (1881); Auld Scots Ballants (1889); Thistledown (1891); The Harp of Perthshire (1893); Ballads of Bairnhood – published as Ballads of Babyland in the United States (1894); Tayside Songs and Other Verses (1897); Poems and Songs of Alexander Rodger (1897); Vagabond Songs and Ballads of Scotland (1899/1901, 1904); Song Histories (1900); Poems of Burns (1902); Willie Winkie and Other Poems (1902); Children’s Rhymes, Games, Songs and Stories (1903); The Poems of Robert Fergusson (1905); Heroines of Burns (1906). Of these, the earliest is probably the scarcest – although I was lucky enough to obtain a very fine copy signed by Ford some years ago. Bothy Songs and Ballads, to my knowledge, is Ord’s only major work, although he published extracted articles on a variety of subjects including ‘The Story of the Barony of Gorbals’ and ‘The Origin and History of the Glasgow Police Force’. He was also an enthusiastic member of the Old Glasgow Club (his daughter was later to write its history) and contributed to its proceedings. I have a copy of the Transactions of the Old Glasgow Club, No. 1, Vol. 5 (1924) containing an article by Ord entitled ‘Some Glasgow Songs and Song Writers’. It is also signed by Ord. This copy was, in fact, discovered by a friend on a stall at the Glasgow ‘Barras’. The above does not by any means constitute a full account of the work of these eminent Glaswegians. Anyone interested will find additional material in the Mitchell Library, Glasgow, who also have in their possession an interesting item – John Ord’s personal scrapbook. One Comment on "Robert Ford and John Ord: two folksong collectors from Glasgow"